Much like Slayers, Warriors rely on deft hand to hand combat skills in order to do their damage. Much like all the characters save arguably the Priest, you will make the most gold by being a part of a group and tackling dungeons. Twin swords make the Warrior a fun character to play melee with as well as Lancer, as you will marvel at their slashing abilities and complicated assaults. Defense will also be a mainstay of your arsenal, because you are not built to stand toe to toe with enemies in the same way your Tank character is. This will lead to a quick death and is not taking advantage of the terrific dodge and roll capabilities of your Warrior. In a group, your job will be to inflict damage on the Boss as well as stand up to Mob rushes. While you are a poor substitute for a Lancer Tank, you can serve as a bit of a diversion for Bosses and can keep them aggroed and away from your weaker companions. You will need the attention of your healer Priests and Mystics, but you will be able to do a lot of damage at the same time. Ideally, when using a Warrior, you will have an actual Lancer Tank that can occupy the monster, and a priest that can buff your attacks, so that you can be the ultimate slasher from behind and the side. Your beginning Combo Attack and Evasive Roll are going to stay with you throughout the life of your character. This is the meat and potatoes of a Warrior character. Use it when leveling up in order to survive the counter attacks of your monster opponents while delivering the large amount of damage a combo attack can do. The combo assault will do damage to multiple opponents in front of you, so use it against mobs and do not be afraid to stand toe to toe with a mob for a few rounds of this. You will do a lot of damage and be able to dodge away after doing so. Rain of Blows is another skill that will allow you to handle a large spawn of monsters by yourself, as you will not only do some serious damage but you will also have your own damage received reduced by thirty percent while performing this skill. Use this skill in combination with your Evasive Roll and you will eventually be able to solo very well with a Warrior Character. Vortex Slash is a skill that can be used after Evasive Roll, and will produce a whirling, slashing attack. This is a great skill when aggroing several monsters at once, and it is imperative to maximizing your gold grinding to kill as many monsters with your time as possible. This is where the Warrior shines as a solo character. You will be able to survive with your defensive skills, and be able to produce the damage necessary to farm gold at a good rate. Battle Cry is a good skill to use while soloing. It will stun your opponents and allow you to attack or make an escape if you are being overwhelmed. There are going to be times when you simply aggro too many opponents or you get caught in a bad situation. Using skills like Battle Cry will help you eliminate the annoying deaths that can occur occasionally, and that kill your gold grinding rate. Effective gold farming with the Berserker class means that you will be charging headfirst into battle and trying to destroy your enemies before your rage dies. 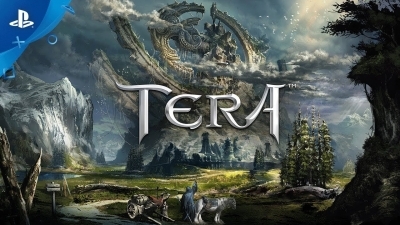 En Masse Entertainment announced today that the most explosive character for TERA – the Gunner class – will be launching June 26 on Xbox One and PlayStation®4. Amongst many other factors, foresight plays a big role into maximizing your potential as a Warrior, it is time we go over some tips and tricks that you can use in general to your advantage. The popular Dreadspire, is back and better than ever with a fresh set of improvements. First let’s go over what Dreadspire is, as well as how Dreadspire is fundamentally different from any content we’ve had so far. 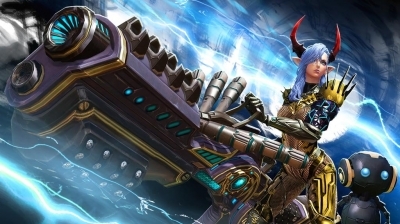 TERA: How do Guilds and Quests Make Gold? Your greatest asset as a new character will be other new players like you. Joining forces will make it so that weaknesses of all classes are covered by the strengths of another. Why Do You Play Warrior? For me, Warriors are simply the most versatile class in the game. Why do you play warrior? 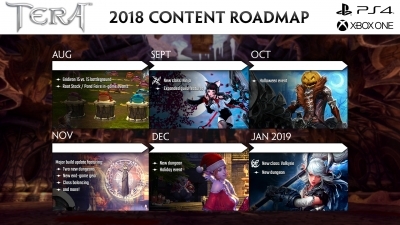 En Masse Entertainment has revealed their upcoming roadmap of content that TERA players on Xbox One can look forward to in upcoming months. U4gm will be doing a quick overview about PvE & PVP aspect of Gunner. The data is from Essential Mana to share with U4gm users, we paste it here. I've been playing Tera on PS4 for a week now and I have some questions. So lets begin.